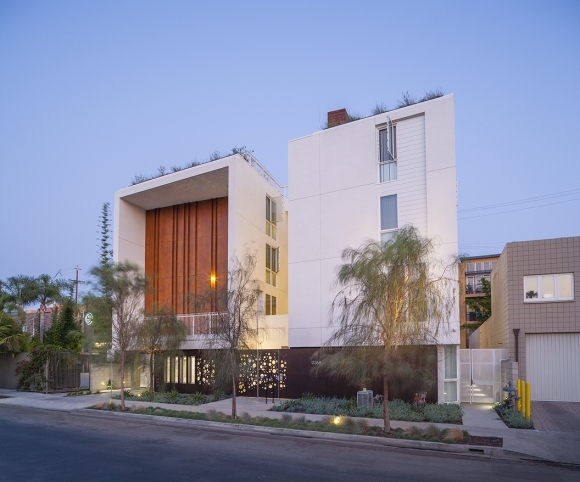 John A. Martin & Associates, Inc. Gateway Housing - John A. Martin & Associates, Inc.
Gateway Housing is a 21-unit apartment complex in Marina del Rey developed as a joint venture between Venice Community Housing and the Hollywood Community Housing Corporation. 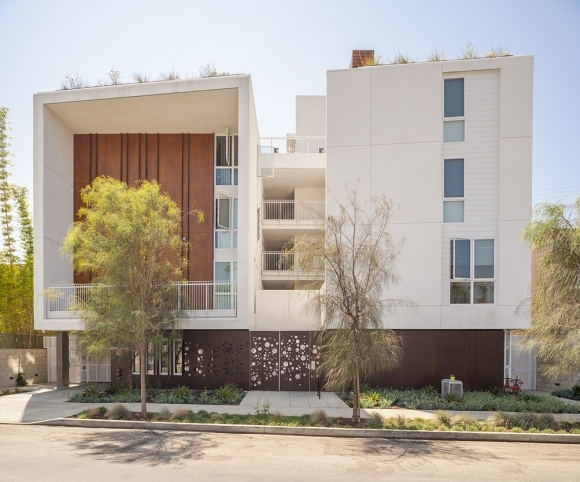 Home to 21 formerly chronically and disabled homeless individuals with severe health issues, the facility was designed as a three-level Type V structure over a ground-level podium of covered parking (for both cars and bicycles), community spaces and a manager’s unit. Other amenities include a roof top deck with an edible garden. Gateway achieved a LEED Platinum certification by focusing on water and energy efficiency and materials and resources that require little or no consumption of energy or water.